Last year was the deadliest for automobile accidents on American roadways since 2008, preliminary data from the federal government show. The National Highway Traffic Safety Administration reported an increase of 7.7 percent in 2015 over 2014 fatalities. About 35,200 people in passenger vehicles died on U.S. roads and streets in 2015, as compared to 32,675 in 2014. In addition, millions of people were injured in car accidents on U.S. streets and highways. In fact, auto accidents are one of the top causes of injury and death. More than 2.4 million people were injured in motor vehicle accidents in 2014, according to this table from the U.S. Centers for Disease Control. The California and Arizona region reported a 6 percent increase in fatalities over 2014, which isn’t as bad as the national 7.7 percent increase but is still a tragic number. In addition, in 2015 there were significant increases in deaths of motorcyclists, pedestrians and pedacyclists, the NHTSA says in its report this month. FARS is the NHTSA’s Fatality Analysis Reporting System. However, the director of the agency, Mark Rosekind, said in a press release that people are driving more miles, possibly because of cheaper fuel prices. At the same time drivers were ticking off more miles on U.S. roads, the rate of fatalities per mile increased. In 2014, the death rate per 100 million miles driven was 1.08. In 2015 that rose to 1.12. 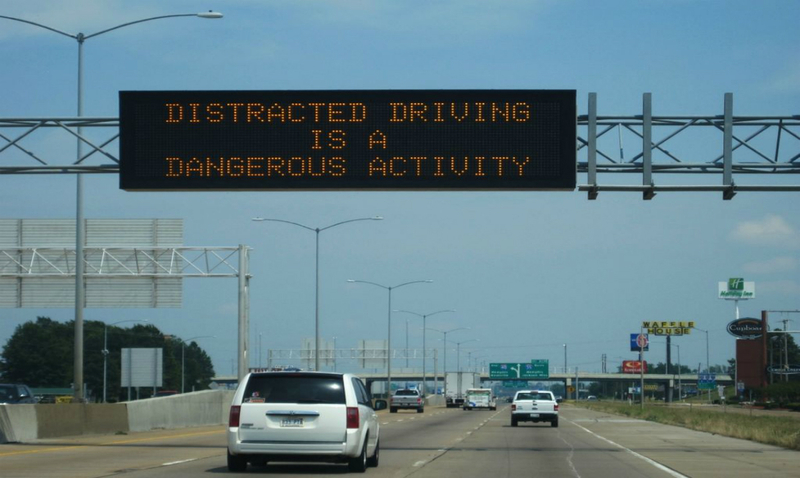 The three most common causes of car accidents are driving while distracted, such as cell phone talking or texting or other behaviors; driving while under the influence of drugs or alcohol; and speeding. Cell phone use is so common that the NHTSA reports that at any hour of the daytime, about 660,000 Americans are using their phones while driving. Driving under the influence is less common, but experts figure about 300,000 people drive drunk on America’s roads per day. A person dies in an impaired-driving crash about every 53 minutes—about 10,000 people every year. In addition, every 2 minutes a person is injured in a drunken driving crash—about 290,000 people a year. As for speeding, “Vehicle speeds are a crucial factor in traffic safety. NHTSA estimates that speeding is involved in approxi­mately 31% of fatal motor vehicle crashes, costing soci­ety over $40 billion per year,” the NHTSA says. These new statistics on roadway fatalities from the NHTSA come on the heels of a report from the American Automobile Association that said within a one-month period, 87 percent of drivers surveyed admitted to engaging in at least one type of dangerous behavior. The types of dangers the 2,545 licensed drivers over age 16 surveyed did while driving included speeding, intoxication, being drowsy, talking on a cell phone or texting, running red lights or not wearing seat-belts. While you can’t control the behavior of other motorists, you can control yourself. To make your trip as safe as possible, always wear a seatbelt, never talk or text on the cell phone, never drink or take drugs and drive and never go too fast for conditions. If you were injured by a driver who engaged in one of these negligent behaviors, you can obtain compensation for your medical expenses, lost wages and pain and suffering. You can also obtain compensation for the death of a close family member killed by a negligent driver. 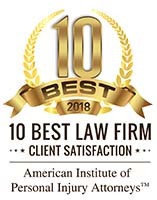 Krasney Law in firm attorneys in Southern California are experts in personal injury and auto accident law and can help you deal with insurance companies so you get the maximum compensation in your settlement. Or we can help you file a lawsuit or other legal action if you the insurance company is treating you unfairly or trying to under-pay your claim. 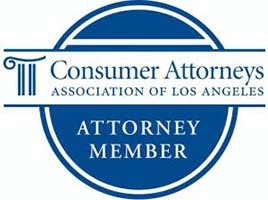 Sometimes accident victims don’t contact lawyers because they think they will take so much in fees. But the fact is, an attorney can maximize your payout so much that you will have more than if you try to negotiate on your own. Also, people are unaware of all the kinds of damages they can seek compensation for. Contact your So Cal auto-accident attorneys at Krasney Law, (909) 380-7200. We will charge you nothing for an initial consultation, and we may arrange payment on a contingency basis. That is, we don’t get paid unless you accept a settlement or we go to trial.